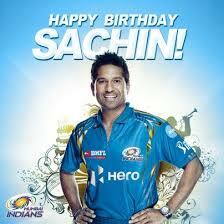 HOW NUMBERS PLAYED A VITAL ROLE IN SACHIN’S LIFE? 1997–98 – Rajiv Gandhi Khel Ratna, India’s highest honour given for achievement in sports. 1999 – IND Padma Shri BAR.png Padma Shri, India’s fourth highest civilian award. 2008 – IND Padma Vibhushan BAR.png Padma Vibhushan, India’s second highest civilian award. 2014 – Bharat Ratna Ribbon.svg Bharat Ratna, India’s highest civilian award. 2013(2+0+1+3=6) – Indian Postal Service released a stamp of Tendulkar and he became the second Indian after Mother Teresa to have such stamp released in their lifetime.